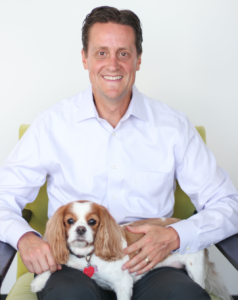 Roger Morgan, founder and CEO of pet nutrition company pawTree® created the company in 2014 to provide a better way to care for and love pets. With the debut of its pawPairings Superfood Seasonings in 2018, pawTree® created an entirely new product category that provides shake on seasoning flavor and nutrition for dogs and cats along with food, treats, supplements and accessories. Roger served as President and CEO of The Retail Products Group (RPG) manufacturing and selling pet products to retailers from 2005 to 2012. Before joining RPG, Roger gained business strategy experience with the Boston Consulting Group (BCG). His prior work experience also includes positions at Walt Disney Imagineering in business strategy and KPMG LLP, where he obtained his CPA certification. 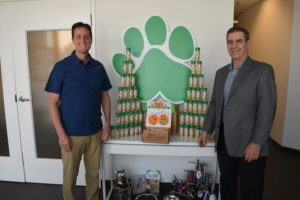 pawTree® is on mission to change a pet and pet parent’s life one meal at a time and to enable pet lovers to thrive as small business owners as part of their petPro sales team. This entry was posted in Show Archive by stevek. Bookmark the permalink.